Today iHeartMedia's 710 WOR/New York announced the upcoming debut of "WOR Tonight with Joe Concha & Lis Wiehl." The program will broadcast weekdays from 6 p.m. - 9 p.m. starting February 4. 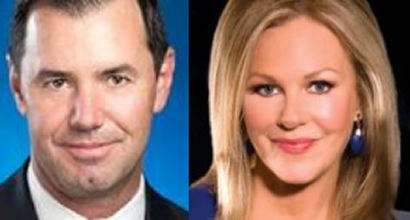 Hosted by The Hill reporter and columnist Joe Concha and best-selling author Lis Wiehl, "WOR Tonight with Joe Concha & Lis Wiehl" will be a New York-centric show spotlighting a mix of top news stories, politics, movies, television, Broadway, pop culture and consumer issues. Additionally, the hosts will offer their views on the stories of the day from both sides of the political aisle and will take calls from listeners. "The New York area is known for its diversity and 710 WOR will be able to offer listeners just that each night with a unique mix of issues," said Tom Cuddy, 710 WOR Program Director. "Joe and Lis come from different sides of the political spectrum, which should make things quite interesting and unpredictable." In addition to his work as a reporter and columnist for The Hill, Concha, a media analyst, is frequently seen on Fox News Channel and Fox Business Channel shows. Concha also often guests on both Rush Limbaugh and Sean Hannity's radio programs, along with 710 WOR's Mark Simone and NPR's Air Talk. "Our show will obviously talk politics, but we're also going to offer up the kind of news and views that people deal with every day," said Concha. "We want to tell stories people can relate to as well as empathize with and hope to make you laugh a few times in the process." Wiehl, a Harvard Law School graduate and third generation federal prosecutor, served as Deputy Chief Investigative Counsel for Democrats on the House Judiciary Committee during President Clinton's impeachment and later worked as a reporter and legal analyst for NPR and NBC News. She also served as a Fox News legal analyst for 15 years and is a New York Times best-selling author who has written 18 books in both fiction and nonfiction. 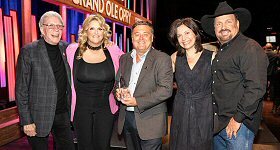 "This show is going to be a one-stop shop in a three-hour package, delivered to your radio," said Wiehl. "You'll get hard news shared by two people who are news veterans and experts in the fields of law and media. Plus, you'll get ‘water cooler' news delivered to you by two hosts who are parents, taxpayers, pet owners and pop culture enthusiasts."